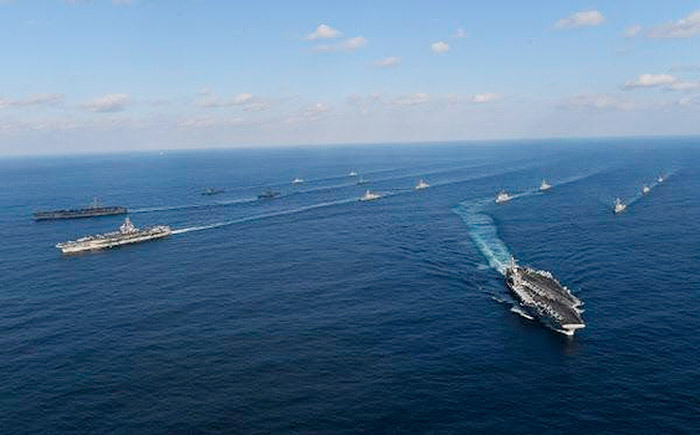 The U.S. wants Korea to pay part of the cost of deploying so-called strategic assets like aircraft carriers here, a Foreign Ministry official said Friday. The demand was made in talks between the two sides on Jeju Island last week to discuss Seoul's share of the upkeep for the U.S. Forces Korea. At the moment the U.S. bears all costs of deploying the strategic assets if they take part in joint annual military exercises. 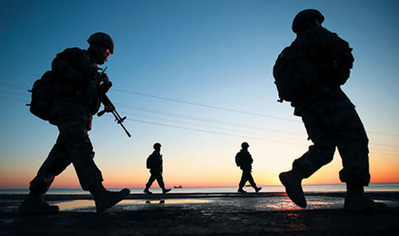 The fresh demand means Korea's overall share of the cost of U.S. military protection could increase by hundreds of billions of won a year. This year its contribution is W960.2 billion (US$1=W1,070). Strategic assets are nuclear-powered aircraft carrier strike groups, nuclear-powered submarines, B-1B bombers, B-2 stealth bombers, and B-52 bombers. Each aircraft carrier armada consists of Aegis ships and nuclear-powered submarines, and its upkeep costs about W7 billion per day. Last November, three U.S. aircraft carrier strike groups were deployed around the Korean Peninsula for about 10 days, which would have cost about W210 billion. It costs some W6 billion for two B-2 stealth bombers to fly from the U.S. mainland to the Korean Peninsula, and the deployment of a B-1B squadron costs about W2 to 3 billion. Last year, the cost of deploying major U.S. strategic assets here was estimated at about W300 billion, so supposing Korea pays half, its share will increase by W150 billion.